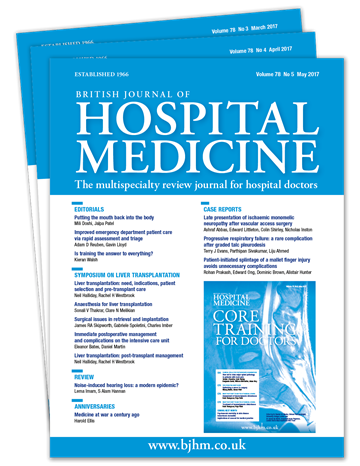 British Journal of Hospital Medicine is the peer-reviewed journal for doctors who want to enhance their practice and stay ahead of clinical developments. 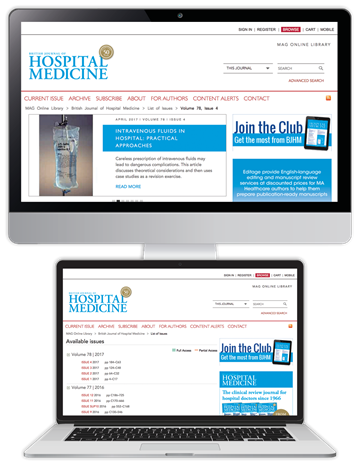 Published monthly, with an online archive of every article dating back to 1999, it provides clinical reviews, case reports and educational updates, to support the professional development of doctors of all grades and specialisms. 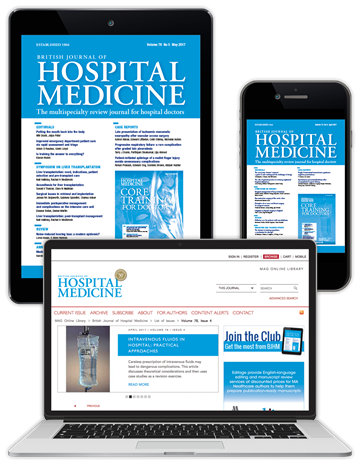 best practice across all areas of hospital medicine. in depth, combining theory and practice. practice, clinical trials, and new research findings. skills are based on the best available evidence. management within a clinical and educational context. 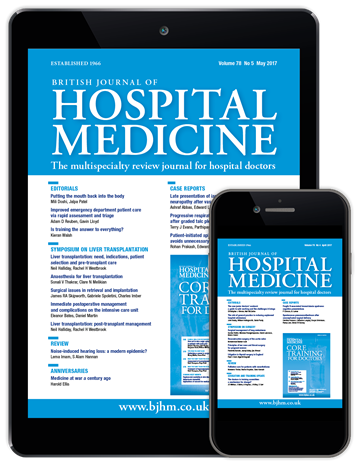 Save 10% when you subscribe today, and receive the journal and your free gift from just £3.77 per week. 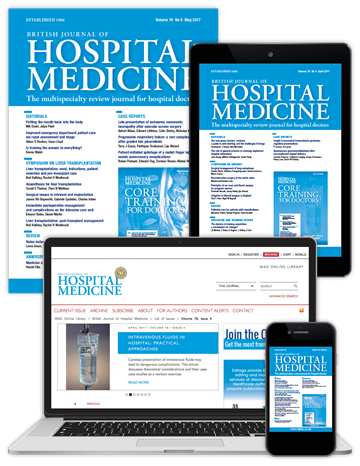 To claim this offer, please select your appropriate subscription option below, and quote coupon code HME18A when prompted at the checkout.